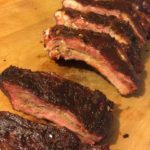 This blog hosts a couple of rib recipes, however, I decided smoked baby back ribs needed a mention. See my Barbecue Beef Ribs or my Smoked Barbecue Pork Ribs smoked in the “Garbecue”. 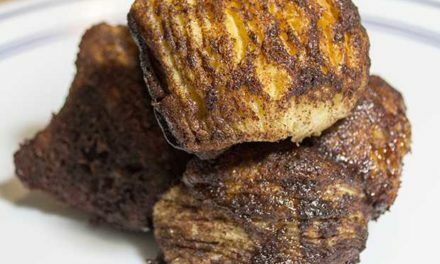 This recipe, however, calls for the ribs to be barbecued Texas style, which is a unique twist on my previous rib recipes. With my new Char-Griller Duo gas/charcoal barbecue and grill, I knew this had to be done. The offset smoker box looked like too much fun! From everything I had read about barbecue, using the offset smoker was considered “Texas Style”. So here is my unique Northwest version of Texas-style ribs. Soaking wood chips for barbecue baby back ribs. Baby back rib with the smoke ring. My previous recipes seemed somewhat challenged in getting that pretty barbecue smoke ring on my dishes. 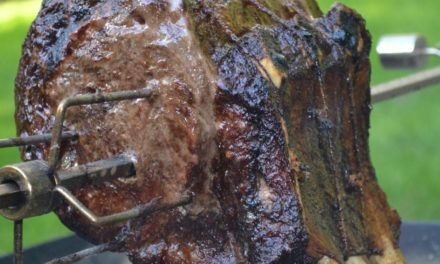 This pinkish ring on the outside of the meat just below the bark is sought after by many barbecue enthusiast and a must have if you are in any barbecue competition. The ring is caused moisture in the smoker. The effect, as I read about it in Weber’s New American Barbecue – A Modern Spin On The Classics, is caused by the following. Smoked baby back ribs barbecued Texas style. Getting the grill ready for smoking by adding a water pan below the ribs. This totally explained why my “Garbecue“ homemade smoker did n0t create this smoke ring. 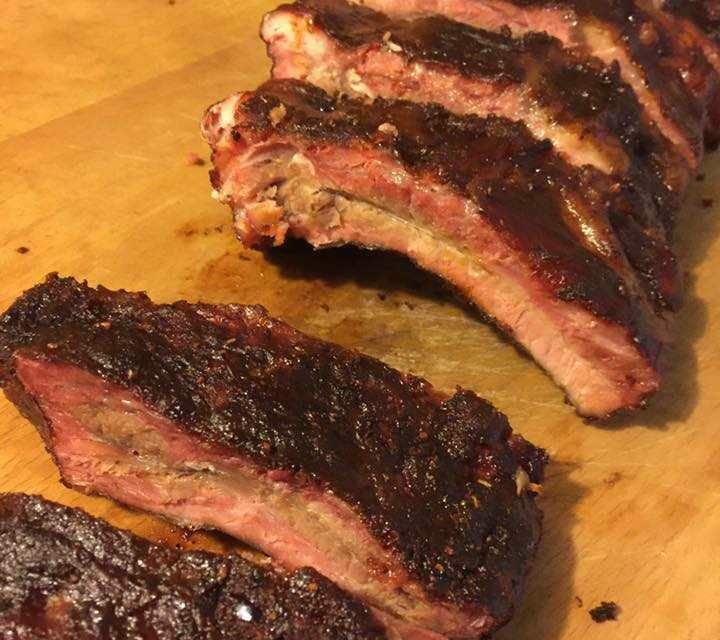 While the meat my homemade smoker produced was always delicious, I could never get that ring because I never had enough moisture or smoke in the smoker. The smoking in this device was purely for flavor, which was great. But I wanted more from my barbecue. I wanted that illustrious smoke ring. With the advent of my new grill, which was one of the most awesome birthday gifts ever, I was able to achieve this ring. The first thing I did after receiving this awesome gift was to purchase the smoker box attachment so that I could do the Texas style offset smoking. I have read a lot about this style of barbecue and was eager to try it. Smoked baby back ribs from the barbecue! The prep for getting your ribs on the grill is just as important as the cooking part. In order to achieve tender ribs, the membrane must be removed. If you have never removed the membrane, here is a pretty good video on how to do that. It’s pretty easy once you get started. Next, I recommend using a brine or putting a dry rub on the ribs for a few hours. The brine and dry rub help penetrate flavor into the meat and also help tenderize it. Be sure you refrigerate during this process. If you need a good brine or rub see my book Damn Fine Dishes, page 50 for the brine, page 60 for the rub. Some may argue that true Texas style requires rub. You can also use mustard or olive oil on the ribs to get the rub to adhere to the ribs better. I have not tried it mustard but it is on my list of methods to try. Mustard goes great with pork so I am sure it will be good. Beautiful, pink smoke ring on baby back ribs. I often like to use a homemade brine on my ribs. Brine really helps to add a ton of flavor as well as help keep the ribs from drying out. I have a pretty good homemade pork brine recipe in Damn Fine Dishes on page 50. It is really a simple recipe. Just take a large container and add the following ingredients. Mix all the ingredients thoroughly until all the salt and sugar are dissolved. Then add the pork. I usually put the pork in a zip lock bag then add the brine to it. Let it soak for about 8 hours. I have let it soak longer so you can let it go overnight. One time, I started this brine on a pork shoulder before I went to work one morning. Later that evening, I decided to let the pork shoulder smoke in my electric “Garbecue” overnight. I removed the pork from the brine and set it in the smoker, with wood chips at 225 degrees overnight. The next morning the pork shoulder was done and was ready for the party that evening. You can add rub as well, but if you decide not to, the pork will still have loads of flavor. Be sure to soak your wood chips at least a half hour before you begin cooking. To prepare the smoker, place a pan of water underneath where the ribs will go. Then start your coals and place them in the offset smoker box. Some folks like to use the charcoal chimney. These are great if you have one but I do not at this time so I just start them in the offset smoker. Once the temperature on the grill side reaches around 225° to 250° degrees F. you can start cooking the ribs. Place the ribs bone side done on the grill grates and close the lid. Texas barbecued smoked baby back ribs. Now just keep feeding the wood chips to the coals and creating the delicious smoke. At this point, you must do two things. First, try to resist opening the grill side of the smoker. This releases all the heat and the smoke. The old barbecue adage is true, “if you are looking, you ain’t cooking.” Second, try to maintain a steady temperature of 225° to 250° degrees F. To do this with most smokers you need to adjust the flow of air through the vents. This takes patience and lots of attention. The cooking time should take around two and a half hours. The ribs are done when they begin to fall off the bone a little. When the ribs are about done, you can add some barbecue sauce and grill them for a few minutes to caramelize the sauce on the meat. If you prefer you can just add the sauce and remove them from the grill. Either way, the ribs are delicious. If you are looking for a good Texas style barbecue sauce, I recommend either Stubb’s or Sweet Baby Ray’s. I also have a pretty good homemade recipe in Damn Fine Dishes on page 48. 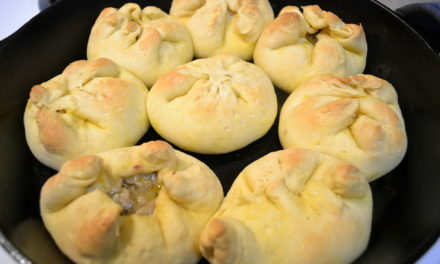 I hope you enjoy this recipe as well. Please let me know how it went for you if you try it. Have fun and happy cooking! Smokey barbecue is always a hit with friends and family. 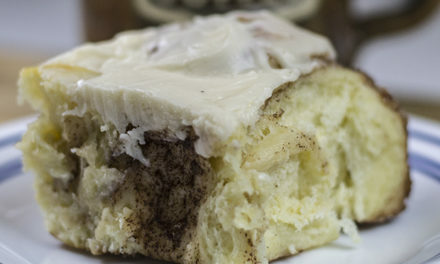 This recipe will leave them licking their fingers and asking for more. Prepare the ribs by removing the membrane from the bone. Sprinkle and rub in the pork rub. This can be done well ahead of time to let the spices brine the meat. Alternatively, you can soak the ribs in a wet brine. Prepare the coals in the smoker. When the smoker is at about 225 to 250 degree, add the meat. Maintain a temperature of about 250 for two and one-half hours. Brush on a liberal amount of barbecue sauce. Sear the ribs by placing them directly over the very hot coals or sear them on a gas grill on high if you prefer. They only need a few minutes on each side to sear and caramelize the sauce. Remove from grill and let stand for a few minutes. Serve with your favorite side dish.